Development of circus production company “Cirque Alfonse”‘s website on the wordpress platform, with calendar management system. The Cirque Alfonse project is created and first takes shape in 2005 by the Carabinier-Lépine family in Lanaudière. 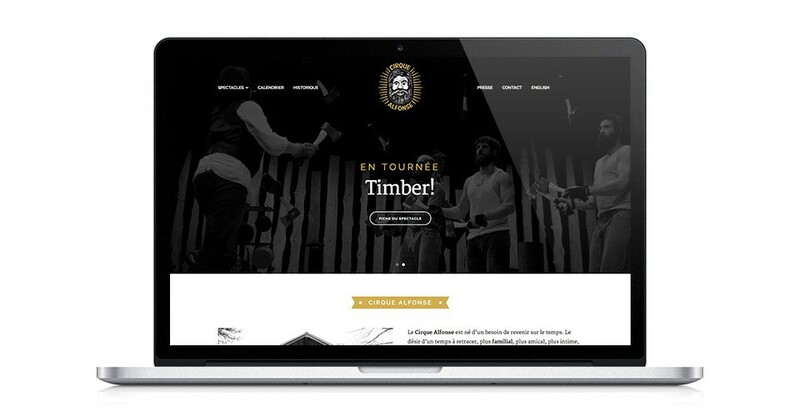 Since then, the company has built itself an international reputation with it’s shows “Timber!” and “Barbu”.